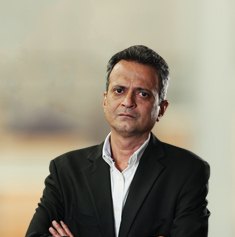 Vaibhav Sanghavi has an overall work experience of 17 years with deep domain expertise in hedge funds. He joined Avendus in 2016 and is currently the Co-CEO for Avendus Capital Public Markets Alternate Strategies LLP, based in Mumbai. As part of his role, he is the lead portfolio manager for all its funds and holds a track record of outperforming markets across cycles. 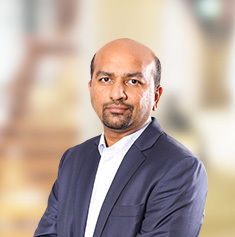 Prior to joining Avendus, Vaibhav worked with Ambit Investment Advisors as a Managing Director where he was responsible for driving their hedge fund business. During his eight-year stint with the firm, he successfully managed the largest on-shore Indian hedge fund with an exemplary track record. Before Ambit, he worked for 3 years with DSP Merrill Lynch’s strategic risk group and was responsible for managing their proprietary investments in equities amounting to USD 1 billion. Vaibhav started his career in 2000 with HDFC Bank where he was part of the equities and private banking team. During his five-year tenure, he invested in equities that delivered returns higher than benchmarks every single year. His expertise in generating risk-adjusted returns in equities across strategies has played a key role in Avendus being able to secure its position as the largest onshore hedge fund in India. Vaibhav is a Chartered Accountant and has graduated from Narsee Monjee College of Commerce and Economics, Mumbai.